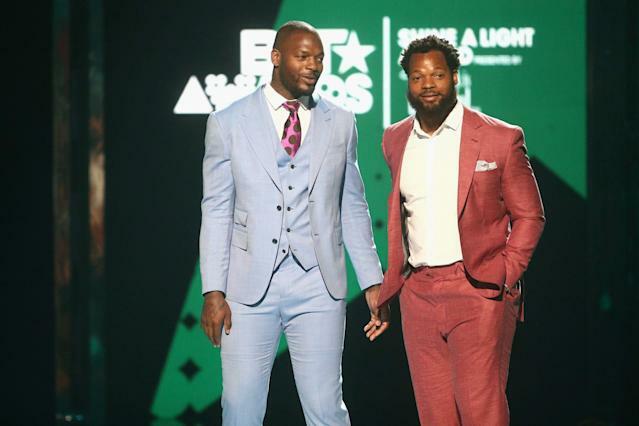 When the New England Patriots acquired veteran defensive player Michael Bennett in a trade with the Philadelphia Eagles earlier this month, the natural question was whether his younger brother, Martellus, would come out of retirement to rejoin the Patriots and play with his brother. Martellus even fanned the fires a bit on Twitter after news broke of the trade, and Tom Brady lobbied his former teammate to come back. But it seems like it won’t come to pass. Martellus Bennett retired after the 2017 season, his 10th in the NFL. He’d won a Super Bowl with New England the year before, and began devoting himself full-time to the Imagination Agency, his multi-media creative company. Bennett recently released his third children’s book, “Dear Black Boy,” which seeks to tell young African-American boys that they can be whatever they want, even when the world sees them primarily as future football or basketball players. It’s because of the book that Bennett will remain retired. On Sunday, Bennett posted a photo gallery on Instagram of black boys with his book, and explained that they are his motivation. “This is why I can’t come out of retirement,” Bennett wrote. There will be some who will disagree with Bennett’s words and decision — there always are — but his purpose is noble, and needed.